Steps to set up and run your own online store. Get an Internet merchant bank account. Find a reliable host. Learn how to go about your ecommerce technology. Consider buying an off-the-shelf solution, renting technology from a 3rd party provider, or using open-source or free shopping cart software packages. Learn about payment processing with PayPal, 3rd-party hosting and doing it yourself. Get familiar with shipping methods, managing inventory and your products, securing online transactions, designing your store appearance, and basic search engine optimization (SEO). Email marketing is the most effective way to reach your customers, audiences, donors, and constituents. 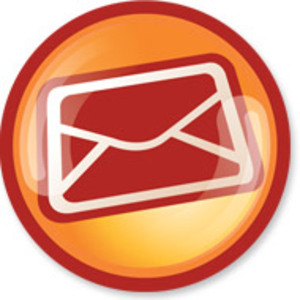 During the workshop, we’ll cover best practices for generating effective email campaigns. We’ll take time to actually consider what you can do to grab your reader, and move them to action. This includes strategies for creating effective copy and generating relevant content. We’ll also brainstorm new ways to reach the people you want to reach, and use your email list more effectively. This will be a hands-on workshop, so if you have email templates, data, or email lists, please bring them. During the workshop, we’ll be looking at Mailchimp’s functionality (online email marketing software), though this workshop will also be useful to people who use online software like Constant Contact, Campaign Monitor, iPower, PatronMail, or other email marketing software. Facebook is now among the top 3 most visited sites in the world, which means people are now turning to social networks for news before they hit yahoo, google, or other sites. Social networking sites have changed the ways we communicate and do business. However, Web 2.0 platforms were not only built for marketing and business. They were built for sharing + creating. This course will focus on how to leverage platforms like twitter, facebook, and flickr to create dialogue around your work, support your research, and build community. Many artists, non profits, and businesses are using these online publishing platforms to share their mission, values, and process. In this workshop, we’ll look at a few case studies and use our time together to build specific online projects to support your work. We will also take time to look at specific features on social networks, which will help you build community and dialogue around your work.